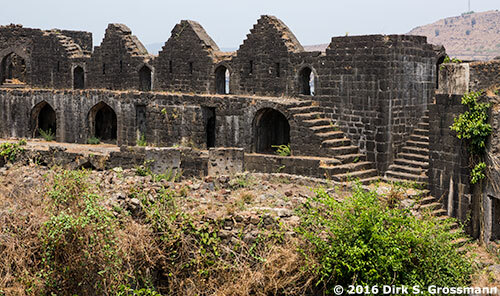 Inner Wall of the Janjira Sea Fort, Murud 2016. The Indian Ocean coast ca. 200 km away from Pune that can be reached with a four hour's drive. 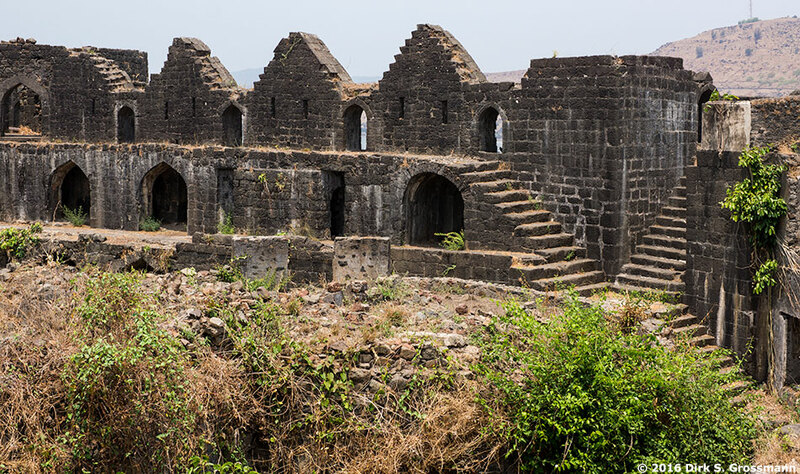 This fort is situated at a small island off Alibag. On ebbtide, one can walk there from the beach. Situated on a pensinsula ca. 15 km south of Alibag to protect the mouth of the Kundaliko river. Built on an island ca. half an hour by boat off the coast at Murud, it is one of the most beautiful forts in Maharashtra.